Scott, Hogg, Eliot, Trollope, Oliphant, Conrad, MacDiarmid. All of these authors had one thing in common; they were all published by William Blackwood and Sons and some made their literary début in Blackwood’s Magazine. Started in 1817, the monthly journal became the flagship of the firm, and an influential sampler of authors and ideas. If you look at any Blackwood’s Magazine cover between 1817 and 1967, you will see exemplified a sense of tradition and continuity. The magazine’s layout follows the same pattern, with George Buchanan, the sixteenth-century Scottish historian and scholar, glaring sternly at the reader from each cover. From the outset, Buchanan was regarded as its talisman. Unkind legend had it that it was originally put there as an afterthought: the magazine’s founder, William Blackwood needed a frontispiece, and being a canny Scot decided to use an illustration from a book his firm had just completed printing. Throughout its history, its readers knew that in every issue they would find the same general layout and frontispiece, and the same mix of editorial and fiction inside. Edinburgh’s identity as a publishing centre had been established in the eighteenth century by pioneers such as Allan Ramsay, Gavin Hamilton, William Creech and William Smellie. Many publishers initially classified themselves as booksellers, since a bookseller was seen to be more respectable, handling the finished work, rather than tinkering with the dirty, physical production of books. The Edinburgh literati flocked to their shops to inspect the latest works and London imports in stock, and stayed for long discussions and exchanges of ideas. From the early 1720s to 1740 Allan Ramsay operated a print works and bookshop on the corner of Luckenbooths off the High Street, which became a magnet for prominent social figures. It was also here, in 1725, that Ramsay, tired of finding his stock constantly on loan to friends, founded the first circulating library, charging members a yearly fee for the privilege of borrowing what they would not buy. This system was soon exported to London, and by the mid-nineteenth century was the major source of distribution of books and pamphlets to middle-class readers, for whom going to the circulating library became a social ritual almost as important as the afternoon carriage drive through Hyde Park’s Rotten Row. But mete his subtle cunning by the ell. Creech proved a sociable host, when not engaged in hard bargaining: morning gatherings in the breakfast room were known as Creech’s Levees, and afterwards he could usually be found in the front shop, resplendent in black silk breeches and powdered head, a conspicuous member of ‘the Lounger’s Observatory’ as Robert Chambers called his premises, ‘for seldom was the doorway free of some group of idlers, engaged in surveying and commenting on the group in front’. In Memorials of his Time, Henry Cockburn, characterised it as ‘the natural resort of lawyers, authors, and all sorts of literary idlers, who were always buzzing about the convenient hive’. Edinburgh’s eighteenth-century publisher-booksellers disseminated the cream of this intellectual discourse to the wider world, incidentally giving the lie to Samuel Johnson’s famously London-centric pronouncement in 1763 that ‘the noblest prospect which a Scotchman ever sees, is the high road that leads him to England’. However, it was left to a later generation to transform Edinburgh into the ‘second literary city in Britain’, threatening to displace London as Britain’s principal cultural and publishing centre, and here William Blackwood I (1776-1834) enters the frame. After a period as a bookseller’s apprentice in Edinburgh, Glasgow and London, he established his business in 1804 at 64 South Bridge, close to the university. 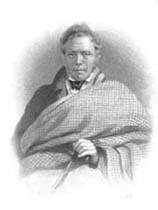 In 1816 he was one of the first commercial concerns to move to the New Town, occupying property at 15 Princes Street. After a slow start, he developed as a successful publisher of travel works and biographies, forging strong ties with the London trade by becoming the Scottish agent for John Murray. In 1816 Sir Walter Scott, using James Ballantyne as his agent, took Tales of My Landlord to the up-and-coming firm. However, Blackwood’s attempts to suggest a different conclusion to The Black Dwarf, based on advice given by William Gifford, editor of Murray’s Quarterly Review, drew harsh exclamations from Scott that he belonged to ‘the Death-Head Hussars of Literature’. He subsequently went over to Constable’s, where he remained until the firm crashed in 1826. Blackwood published works by some of the finest contemporary writers, including Susan Ferrier’s Marriage and The Inheritance, John Galt’s Annals of the Parish, andThe Private Memoirs and Confessions of a Justified Sinner by James Hogg (below). in October 1817 Blackwood’s Magazine was relaunched with new regular contributors including John Wilson, John Gibson Lockhart and James Hogg; a ferociously satirical attack on Edinburgh society, ‘The Chaldee Manuscript’, caused an immediate stir. William Blackwood was said to have presented the first issue to his wife with the words, ‘there’s ma Maga-zine’. In affectionate parody, the journal thereafter became known to Blackwood’s associates and contributors as ‘Maga’. Sir, I can only excuse your letter, which I received today, by supposing that you were hardly awake when you wrote it. When I apply to you to be the Atlas of my magazine it will be time enough for you to undertake the burden. And in the meantime I must beg leave to say that if you cannot send me anything better than the ‘English Lakes’, it will be quite unnecessary for you to give yourself any further trouble about the magazine. 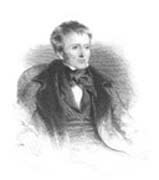 De Quincey (left) buckled down to work, and in 1822 became part of the select group writing ‘Noctes Ambrosianae’, a witty but fictitious series idealising Blackwoodian ‘evenings of talk wreathed in cigar smoke’. The series was to run until 1835. Competition emerged in the shape of the London Magazine, 1820-1829. Its editor John Scott, (a native of Aberdeen) specifically proclaimed it a rival to journals emanating from ‘secondary towns of the Kingdom’. In 1821 John Gibson Lockhart actually challenged John Scott to a duel. In the event, Lockhart’s second, G.H. Christie, faced Scott instead, mortally wounding him. Future contributors confined themselves to verbal salvoes. Thomas Hardy, whose Jude the Obscure was attacked in 1896 later noted bitterly, ‘Ever since the days of John Keats, to be bludgeoned by Blackwood has been the hallmark of an author of ideas’. Those authors who found favour with Blackwoods were made to feel part of a larger family of writers. This was especially true under the reign of John Blackwood, whose forthright dealings inspired loyalty. He enticed R.D. Blackmore, Elizabeth Barrett Browning, Anthony Trollope, Charles Lever and Edward Bulwer Lytton to publish in Maga’s pages. He was one of the first to recognise the talents – but not the gender – of George Eliot (Mary Anne Evans). John confided to an American reporter that he had for some time mistakenly addressed her as ‘Dear George’, before finally learning her secret. Her first novel, The Sad Fortunes of Amos Barton, was serialised in Maga in 1857, and all of her subsequent works, except for Romola, were published with the Blackwood firm. John Blackwood was not afraid to actively rewrite where he considered necessary. One example of this was when he commissioned the historian John Hill Burton to undertake the complete revision of the essays and books of John Hanning Speke, the explorer who claimed to have discovered Lake Victoria, the source of the Nile. ‘He writes in such an abominable, childish, unintelligible way’ declared Blackwood. As a result, Speke’s articles for Maga, and his Journal of the Discovery of the Source of the Nile, 1863, were effectively ghost-written. No such tactics were needed with Margaret Oliphant, whose long connection with the firm began in 1854 with the novel Katie Stewart. Their friendship was relaxed:John affectionately referred to her as ‘Katie’, or, after one of her frequent requests for higher advances, ‘the little cormorant’. Oliphant proved a mainstay of the magazine, contributing over a hundred articles, novels and short stories. She wrote her history of the Blackwood firm shortly before her death in 1897. There are tales, possibly apocryphal, of Maga saving the lives of two British soldiers. One survivor of the British retreat from Kabul in 1879 claimed that his life had been saved by the journal. During action, he was in the habit of keeping it in his pith helmet and when an Afghan horseman struck him on the head with a sabre, this extra layer of protection a allowed him to escape with only minor injury. Similarly, in the trenches of Arras in 1918, a soldier hit by shrapnel was saved by the magazine:his trench coat was torn to ribbons and it was later found that a shell fragment had nearly corkscrewed through the Blackwood’s he carried in his left breast pocket. Joseph Conrad, writing to his literary agent in 1907 noted, ‘There isn’t a single club and messroom and man-of-war in the British Seas and Dominions which hasn’t its copy of Maga.’ He also commented that, ‘one was in decent company there, and had a good sort of public’. That Conrad said this is interesting, considering that Heart of Darkness, first serialised in Maga in 1899, is often interpreted as anti-imperialist. Its readers, however, finding it alongside pieces on mountain exploration in the Canadian Rockies, the struggle between France and Great Britain for control of Nigeria and a narrative of a Malaysian woman caring for her leprous husband, would not have seen it as anything less than the standard ‘Blackwoodian’ imperial adventure anecdote. Between 1879 and 1912, under its fifth editor William Blackwood III, Maga became an essential part of British colonial life – the type of magazine characterised in the 1940s by George Orwell as being read by the ‘service middle classes’. When Blackwood’s Magazine finally folded in 1980, its traditional market had become a thing of the past. However, the Blackwood legacy, in all its richness, lives on. 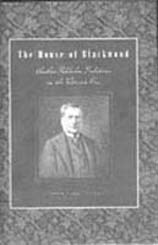 The House of Blackwood: Author-Publisher Relations in the Victorian Era by David Finkelstein is published in hardback at £44.99 by the Pennsylvania State University Press. David Finkelstein is Head of Department, Media and Communication, Queen Margaret University College, Edinburgh. One Comment on "The House of Blackwood"
From one military ssupoe to another (and in the same GA gem city, too! ), good luck with the move!We nearly always do partial DITYs, so the genealogical material traveled along with all the other irreplaceable documents. What I do for my other papers that I don’t want damaged is to load them myself into thick black garbage bags, knot them closed, and then pack them into apple boxes before the movers arrive. I then tape all corners of the box with strapping tape. I have yet to have a mover willing to undo those boxes just to repack them, so they just sign off on them as if they packed them, and they are still liable if they lose or damage them.